Wow. I would never get my board near the salt water. @utsu Haha, i am not scared of now, but the long term problems is what scares me. I got a lot of experience with boating and jet skiing in the ocean, and man that water gets into everything and does bad things specially with electronics! @ricoburgos I think I'll pay for "refresh maintenance" once I'm out of warranty and probably demote this board to the beater/guest/beach board once my second one arrives! my night spots are Pasadena college campus next to the chikfila, Occidental college campus, around eaglerock on colorado, and out in Azuza at Puente hills mall. Sometimes I cruise around my neighborhood near the tennis courts. 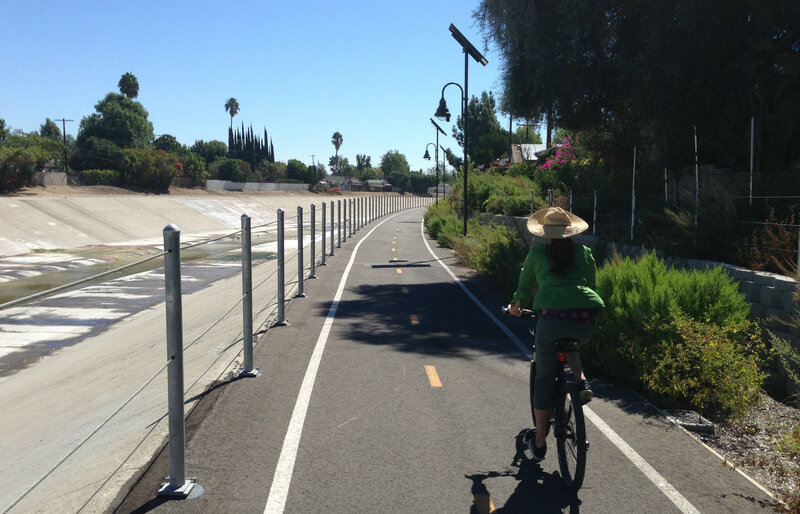 Daytime rides near me the best is probably the LA river bike path.. It's pretty perfect for onewheeling, lots of smooth grades and un-blemished pavement.. respectful riders/pedestrians. Also great is the Rio de Los Angeles State Park on San Fernando. Most days the soccer fields are empty which is a great place to teach people how to ride. There's a dirt loop around the entire park and plenty of grass terrain to practice off roading. @ricoburgos FM says not to use wd40..
@njcustom That squeak I suspect was actually the wet gopro housing on it's tiny rig getting slippy from high frequency vibrations. I put the gopro inside of the waterproof housing for all rides, but I only heard the squeal when I hit some water. It disappeared once it dried and once I hit the bike path to head back to my car. even at 6:00 you can hear when I mount the rig higher and much-much tighter, it goes away entirely. @utsu glad to hear...I was thinking it was possibly gopro noise. Made me nervous for past beach rides and durability. We have to consider the long term affects of salt water though.